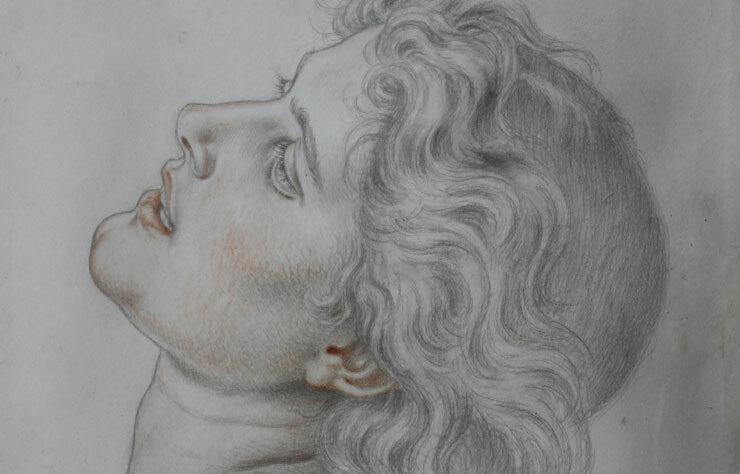 A graphite drawing with sanguine chalk crayon which was a study for a large oil painting called "The Temptress" by Sir Joseph Noel Paton (19th century friend of the Pre-Raphaelite brotherhood) dated 1883. 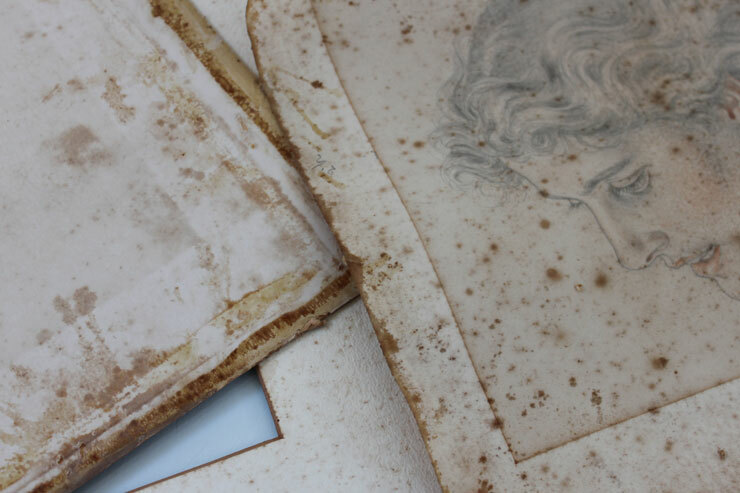 The paper support had been badly stained from resins and glues leaching out from the backing boards, card backing and aperture mount, borne by atmospheric moisture and condensation whilst it was in a picture frame. This fine drawing had to be released from the backing card and mount before the paper support could be cleaned of glue residue and then treated for staining. Restored for the granddaughter of the sitter in London.